In 2011, the town of Towanda in Bradford County was at the epicenter of the shale drilling boom. A visitor would have been hard-pressed to find a vacant hotel room. There were waiting lines at the restaurants. The streets and roads were choked with big-rig diesels hauling the water, rigs, equipment, gravel, sand and chemicals needed to develop the gas wells. Rents doubled or tripled forcing some low-income families into homelessness. Special blizzard edition ... yeah we’re snowed in, but we know you’re just watching your email for our weekly news so here it is, delivered despite the weather. Goodbye and good riddance 2015… A bruising and historic budget fight ended in an unsatisfactory stalemate with the governor’s signing and blue-lining of an inadequate budget passed by the General Assembly after the House and Senate walked away from a negotiated compromise. Education funding remains far from resolved, but school districts did receive enough funding to keep the doors open in the new year. On New Year’s Eve, Miss Smith walked out through the automatic sliding doors of the grocery store where she worked as a cashier and pulled her scarf to her nose as the December wind hit her face. Glad to be done with the last shift of 2015, she walked briskly toward her parents’ house where she had lived for the last three years. Before she lost her job as an art teacher for the local school, she had her own apartment. But her salary at the grocery store was not enough to allow her to afford her own place after she made her student loan and car payments. The Pennsylvania Senate today passed the Fiscal Code, a must-pass piece of legislation that is part of the budget process. 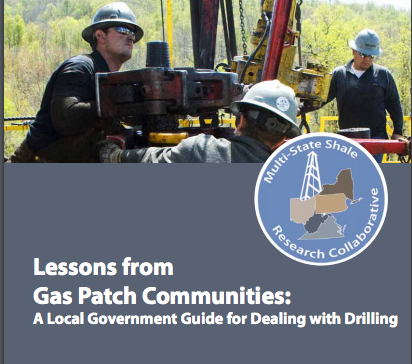 It contains provisions that would subvert Pennsylvania’s climate plan and gas drilling regulations and raid $12 million from the Alternative Energy Investment Act to create a new “Natural Gas Infrastructure Development Fund” providing more taxpayer help to an industry that still doesn’t pay a severance tax in Pennsylvania. Pennsylvania should enact a severance tax on natural gas production. The need to enact a severance tax will not change regardless of the outcome of current, protracted budget debate between the Republican-controlled General Assembly and the Wolf administration. The Severance Tax & the Budget: Flat on Our Backs Again? Will Charlie Brown end up on his back again as Lucy whisks the football from the tee? Gov. Corbett’s first budget, passed by the Republican-controlled General Assembly, cut funding for education by nearly $860 million. Two-thirds of these cuts – $570 million – remain in place, an average of $330 per student. In school districts attended by a quarter of students in the state – districts with lower incomes and higher poverty than in the rest of the state – the cuts remaining in place are much higher, $832 per student. Gov. Wolf made a hard and painful decision when he vetoed the stopgap funding for schools and human service agencies. It is obvious to everyone that non-profits that rely on state and federal funding to serve the needs of the elderly, the disabled, the hungry and the abused cannot operate on thin air and good intentions. They need to pay staff, buy supplies and keep the lights on just like any other business. If they can’t pay their staff or their bills, they have no choice but to cut back services or close down altogether. 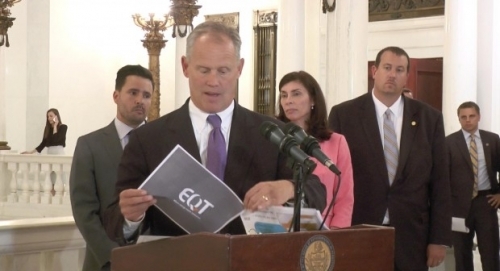 To restore funding for education, boost economic development and strengthen oversight of the gas drilling industry, Governor Wolf proposed enacting a severance tax on gas drilling. Pennsylvania is the number two producer of natural gas in the country, but the only major producer without a severance tax.